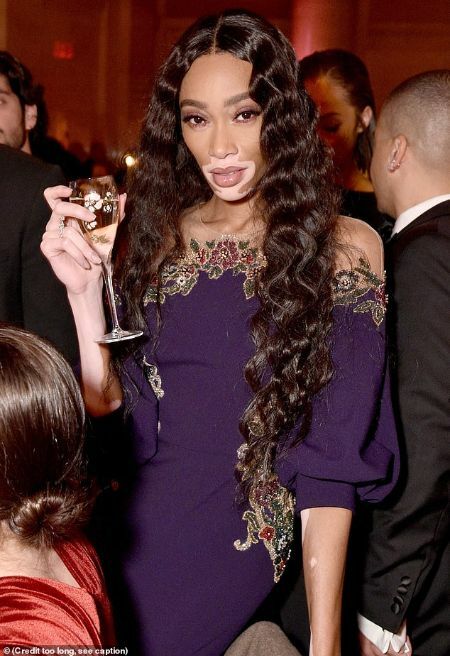 Winnie Harlow's stunning Purple gown caught everyone attention in the 21st Annual amfAR Gala in Cipriani Wall Street. 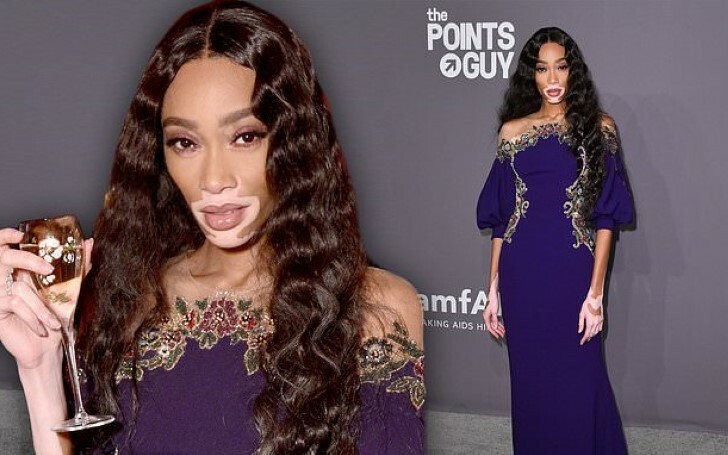 Recently, on Wednesday at the 21st Annual amfAR Gala held at New York, the American model and public speaker Winnie Harlow fascinated everyone. The gorgeous Winnie appeared in the wall street wearing an alluring purple gown designed by Marchesa. The 24-year-old model, marked herself different from others as she is the only model having a successful career despite her skin condition. Various celebrity models like Kourtney Kardashian and Heidi Klum joined the party. The Kardashians showed up in Versace whereas Heidi in Paolo Sebastian, but Winnie was undoubtedly the charm at the event. Winnie was wearing a dress by Marchesa, gown embedded with craft design such as mesh illusion and rich purple coat fused with alluring flower fused with red with green petals, and off-the-shoulder sleeves. The dress will be soon available in the market. As for now, it just belongs to Winnie. Winnie showed up with simple makeup and didn't use any ornaments. She was ravishing in her natural looks. The model definitely proved that beauty doesn't matter if you got the right attitude and personality.